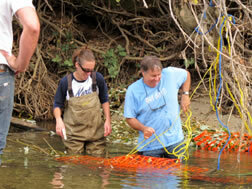 Conduction of watershed assessments and erosion site inventories. Development of Best Management Practices (BMPs). Development of Best Available Technologies (BATs). 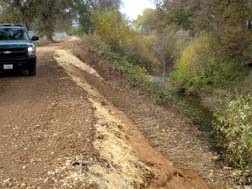 John McCullah, Owner and President of Salix Applied Earthcare, has been a Certified Professional in Erosion and Sediment Control (CPESC #311) since 1988. Salix develops, designs, reviews, and implements Erosion Control Plans for urban sites, rangeland, and forested watersheds. 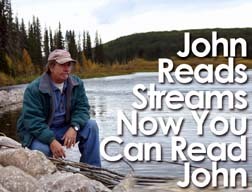 John McCullah and Salix staff also provide erosion and sediment control education by developing guidance manuals and conducting workshops and seminars. Salix currently offers one day courses and 3-day workshops entitled "How Put the BEST Back Into Your BMPs" and “Biotechnical Erosion Control for Slopes and Streambanks”. 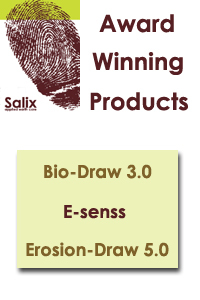 In 1993, Salix developed Erosion Draw, a manual of BMPs with typical drawings on diskette for CAD applications. This manual of BMPs was developed and compiled from industry accepted standards and new technology in order to reduce erosion and sedimentation on construction sites and comply with NPDES requirements. 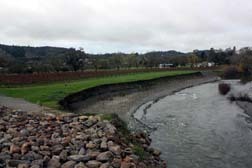 In 1994, Erosion Draw won the International Erosion Control Association (IECA) Technological Advancement Award. Erosion Draw was recently upgraded to version 5.0, and is now available on CD-ROM. 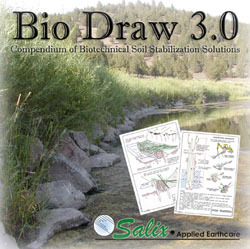 Salix has also upgraded it's newest publication, Bio Draw 3.0, which is a compilation of Biotechnical Erosion Control techniques with accompanying CAD drawings, also on CD-ROM. Tara Petti and John McCullah in action.